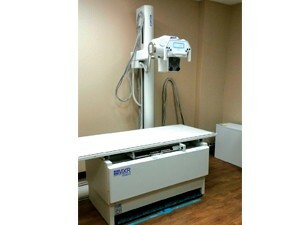 The INTEGRITY II FMTS Solution is a complete, hospital grade, high volume radiography system. All INTEGRITY II products are completely made in the USA with manufactured components and assembly in the same location. Designed to be durable and reliable, this system will be in use for many years. Minimum distance to wall: 12"